← Cold Weather Can Only Mean One Thing ..
I’m working on a belated birthday gift. I started these earlier but got distracted and ended up needing to rip them. Today I have made tons of progress. I love this pattern, I definitely want to knit it again. It’s feminine but not too much, I like that. 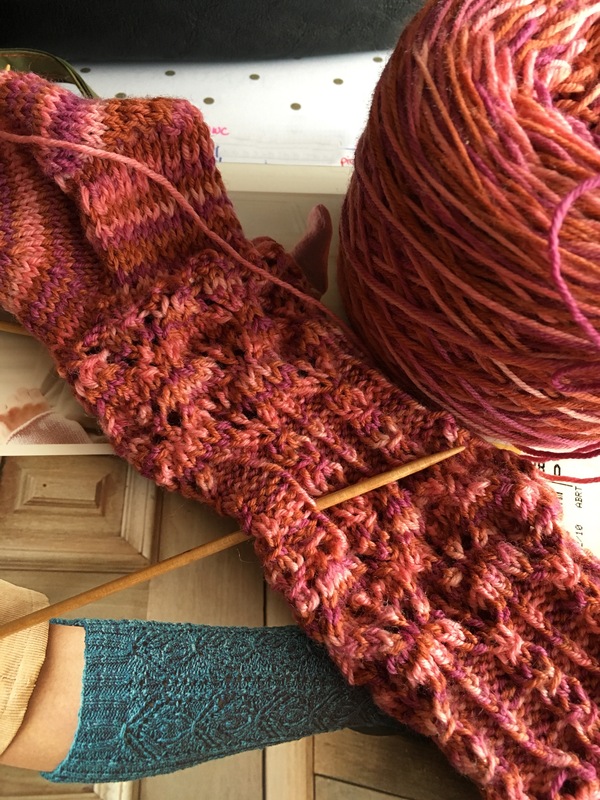 Yarn is Cascade Heritage and the pattern is Bonsai from Knitted Socks East and West. What fun things are you knitting?